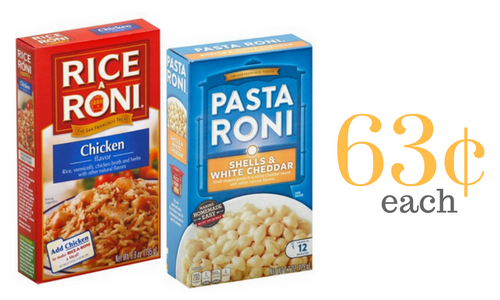 Home > Printable Coupons > Rice-A-Roni Coupon | Boxes For 63¢ ea. Rice-A-Roni Coupon | Boxes For 63¢ ea. There is a new high value Rice-A-Roni coupon out. Use it at Target to get boxes for 63¢ each! These are great as an easy dinner side or part of main dish. Don’t forget you can print each coupon twice and to check out all of the Target deals this week.